NASHVILLE, TN — She wants to be a civil rights lawyer. He wants to be a surgeon. She’s 15. He’s 14. “When I was little, I wanted to help my grandmother” who had heart surgery, says Stephan Johnson-Taylor of Madison. He was in first grade then. Stephan will be studying at Hunters Lane High School in the fall. Aaneissa Shannon of Bellevue wants to fight for and defend people in court. She’s studying at Martin Luther King Magnet at Pearl High School this fall. 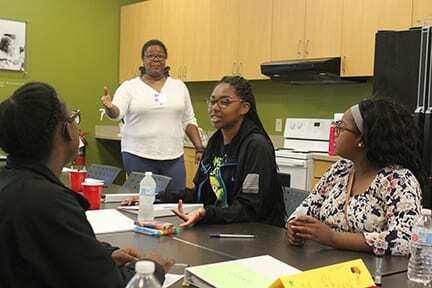 This summer they’re in a class taught by Ebony Cole at Goodwill Career Solutions, 937 Herman St. They’re in the Job Readiness Program for students age 14-18 from low-income homes or who have disabilities but can participate without one-on-one support. 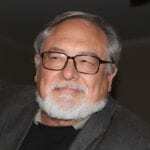 The program with about a dozen students ends July 3. Focusing on career awareness, customer service and personal finances, the class teaches how to find jobs, completing applications and interviewing skills. 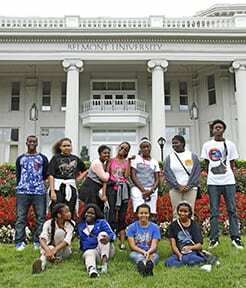 Students visit colleges, practice for job interviews and participate in service projects. They’re paid a stipend based on attendance, punctuality and participation. “I call it business school,” Stephan said. account her parents set-up for her years ago. Aaneissa and Stephan have little brothers who, they say, would benefit from the training. Separately, the Goodwill’s Summer Youth Work Program employs young people age 16-22, depending on their circumstances. Cavalina Hunter, 17, of Cumberland View, recently graduated from Pearl-Cohn Entertainment Magnet School. In addition to working for relatives, Cavalina is employed at Goodwill sorting donations, and at a Kroger grocery where she resets shelves, and cleans the break room and windows. It will help her get other jobs by having proof that she knows the importance of “getting it right the first time,” and “not being lazy,” Cavalina said. She’s paid minimum wage; $7.25 per hour. Goodwill Industries of Tennessee employs a total of nearly 1,800 people. Both summer programs are sponsored by Goodwill and the Metropolitan Development and Housing Agency of Nashville and Davidson County. Kroger also provides funding for students who receive work training in its stores. A local Bank of America office vice president taught the job readiness students about banking. Deloitte LLP, the audit, consulting, tax and advisory service at 1033 Demonbreun St., provided associates to conduct mock interviews to give students experience before applying for work. Goodwill Mission Integration Director Debbie Grant started the summer work program in 1989. For 60 years, the Goodwill here has provided job training and job placement at no charge to people with disabilities or other barriers to employment through the sale of donated items.